KusanagiGirl: It's True. They Grow so Fast! It has only been a few short months and already I'm asking myself what have I missed? Jellybean started "talking" a few weeks ago. It first started with a "ah" sound once or twice a day. Now she is making complex sounds by shaping her lips and tongue to string along full sentences. We can't understand what she is saying right now but we know there is logic behind all the sounds she makes. We can tell that sometimes she's trying to share something that she found interesting, what happened during the day, or what she finds tedious (ahem! diaper changes). She's also started gaining more muscle control over her arms and legs. She likes to kick at the dangling things in her gym her Grandma bought her. She has also started to move her arms in the direction of her toys, and has swiped a few times (not yet consistently) at them. 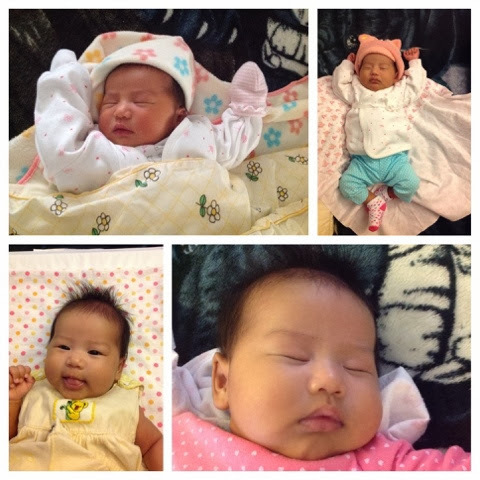 At her 2-month appointment, she had gained 4 lbs and grew 4 inches since birth. It's cliche, but children really do grow so fast! The 2largest pictures in the collage show Jellybean as she was just born and 2 months later. What a difference, right? 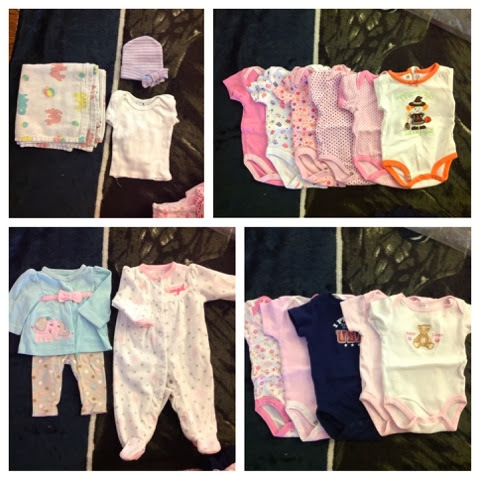 She's not 3 months yet but she already outgrew all her 0-3 month outfits. She's wearing 3-6 months right now and some are getting pretty tight. It brought tears to my eyes remembering how small she was when we first brought her home and how she seemed to grow over night. I want to remember every second of every day and am so afraid of missing anything. But everyday my husband and I find some new moment to cherish and feel so much richer for it.